1. Volute Pulp inflow chamber, the eddy ability is strong and low pressure area subarea is obvious. This makes accepts and impurities separate thoroughly. 2. Wear resistance ceramics cone, long service life. 3. Specially designed long cone has small taper angle and fine cleaning efficiency. 4. Equipped with PLC control cabinet, convenient and easy to control, sufficiently discharging impurities. The pulp slurry should first disposed by high concentration deslagging machine after breaking. 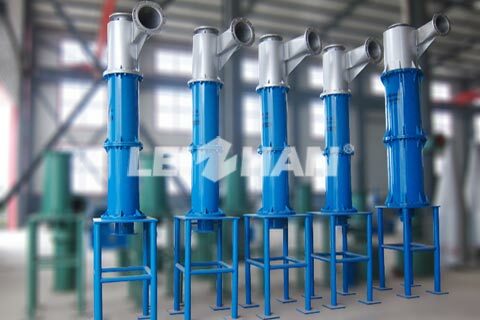 And this machine is a kind of high concentration pulp purification deslagging equipment, which purifies pulp by separating the heavy impurities from the pulp according the difference on proportion of fiber and impurities.